The Obama administration’s $400 million cash payment, delivered to Teheran on the same day American hostages were released, may be unprecedented in U.S. history. Historians had to go back to 1848 to find an incident that could even come close. 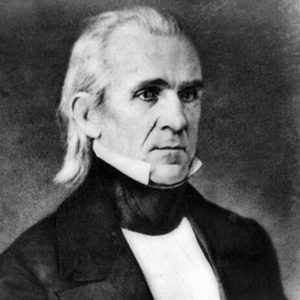 Historians had to go back to the James K. Polk administration to find an incident even remotely similar to President Barack Obama’s cash payment to Iran. The Obama administration “has been ambiguous from the start” about its agreement with Iran, observers say. Reports by the Wall Street Journal led the White House to acknowledge that the $400 million delivered in stacks of cash was connected to the release of the American prisoners. Officials still won’t say how Iran received the $1.3 billion in interest stemming from Iran’s purchase of U.S. military equipment in the 1970s. The equipment was not delivered due to Iran’s 1979 overthrow of the U.S.-backed shah and the U.S. Embassy hostage crisis. The State Department said last week that payments for the $1.3 billion were made Jan. 19, two days after the cash delivery that sprung the hostages. Historians said other settlements with Iran in recent decades bore some similarities to the latest transaction, but none involved the delivery of planeloads of cash. Alan Henrikson, diplomatic history professor at the Fletcher School of Law and Diplomacy, Tufts University, cited the 1848 Treaty of Guadelupe Hidalgo that ended the Mexican-American War. In 1996, President Bill Clinton reached a settlement with Iran over the U.S. Navy’s 1988 downing of an Iran Air passenger plane that killed 290 people. The arrangement totaled $131.8 million with $61 million deposited in a Swiss bank account that was jointly held by the New York Federal Reserve and the Iranian Central Bank. In 1998, the U.S. settled a dispute with Pakistan after halting the delivery of an F-16 aircraft purchase. The compensation was described as $325 million in cash and $140 million in surplus agricultural commodities, mainly wheat and soy, but the precise mechanics of the payment were never spelled out.